With mission critical projects, all components must operate without incident. Efficiency, sustainability and reliability are of utmost importance. For this reason, a highly specialized and experience construction team is critical. 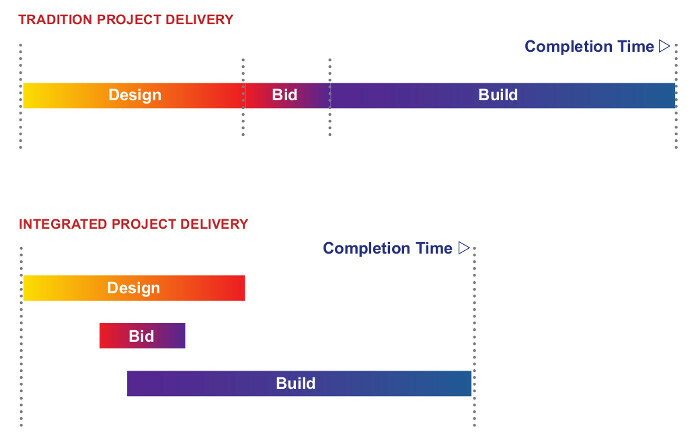 This is what we bring to the project – execution excellence. We do site selection, existing infrastructure investigation, constructibility reviews, subcontractor procurement and management, start-up, and commissioning. We are the boots on the ground! Integrated Project Delivery (IPD) is a collaborative alliance of people, systems, business structures and practices into a process that harnesses the talents and insights of all participants to optimize project results, increase value to the owner, reduce waste, and maximize efficiency through all phases of design, fabrication, and construction.